The world of professional sports is unforgiving, which is why athletes are open to new types of exercises that will give them an edge over the rest of the field. One exercise that professional athletes ought to consider is calisthenics, which will improve their athletic ability, strength, and endurance. After all, military units all around the world incorporate body weight workouts into their brutal training regimens to achieve peak fitness. In our article ‘What You Must Know Before Getting Started With Calisthenics Training’, it showed how calisthenics is a flexible training method that brings about plenty of benefits, notably improved muscle strength, and better body control. These enhancements alone can result in a significant boost in athletic performance. Just look at Dirk Nowitzki’s legendary career. 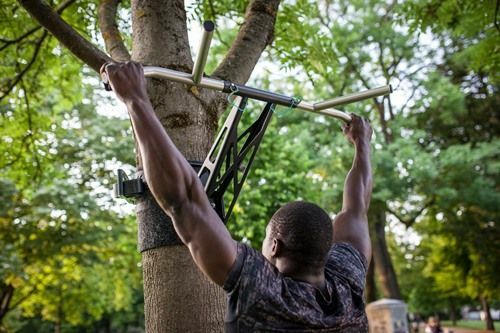 Mentored by the often unorthodox Holger Geschwindner, the seven-foot German basketball player has long incorporated bodyweight exercises in his training. One exercise in particular, push-ups on the fingertips, is credited by Geschwindner as the key to Nowitzki’s dead-eye shooting. The fingertip push-up, according to the long-time trainer has developed the future Hall-of-Famer’s finger and hand strength, which is critical to shooting jumpers. Despite these benefits, it is surprising that very few elite athletes have actually taken full advantage of bodyweight training. 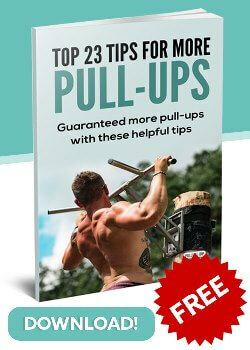 Calisthenics seems to be more popular among gym users who love gruelling CrossFit sessions and boot camps. Not to belabour a point, but doing calisthenics will work wonders for athletes who want to excel at the highest level. Aside from improving muscle strength and body control, this form of training promotes world-class fitness, as in the case of Germany’s own, Sven Kohl, one of the pioneers who helped make calisthenics popular here. Optimum fitness, as every top athlete will attest, is critical to peak athletic performance as it allows them to meet and overcome the physical demands of sports. Speaking of physical demands, peak athletic performance requires functional strength, and this is something that calisthenics certainly develops. As bodyweight training involves push-ups, pull-ups with a pull-up bar, and various other exercises that require different muscle groups to work together, those who perform calisthenics regularly will be able to enhance their functional strength considerably. Athletes, in particular, will benefit as some of the movements they do on the court, on the pitch, or in the boxing ring approximate the same functional movements. Livestrong details how calisthenics also improves muscle endurance, which is vital for athletes competing at the highest level. Football is one of the toughest sports around, and no league in the world is tougher than the English Premier League. Coral explain that the average Premier League match can last up to 96 minutes, and with only three substitutions, the majority of footballers will have to play the full game at a very high intensity. Footballers have to build up their endurance to ensure that they can still play at a high standard in the closing minutes of a match. This is why German Premier League players, Uwe Hünemeier (Brighton) and Emre Can (Liverpool), likely focus on building up their endurance through bodyweight training so they can sustain their form for the entirety of a typical Premier League match. Regular bodyweight training can certainly help push back a footballer’s (or any athlete’s, for that matter) fatigue levels, thus allowing them to perform at a high level for a longer period of time. 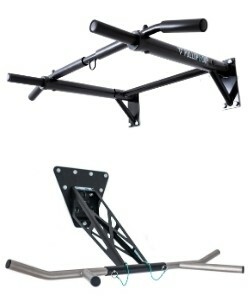 Finally, calisthenics offers whole-body stability that in turn can help improve balance, speed, and flexibility. These attributes, of course, are crucial for athletes who want to excel in pro sports. Clearly, the benefits of calisthenics are plenty, and these positives are definitely enough reason for more athletes to try out this form of training. Top 8 Calisthenics exercises to get you started!